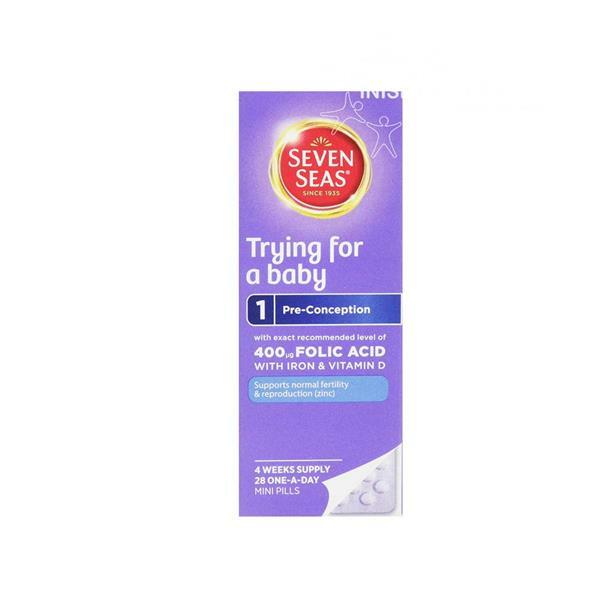 Sevens Seas Trying For A Baby is a 4 week supply of folic acid with Iron and Vitamin D. This supplement contains the exact recommended level of folic acid by the department of health. This daily supplement of 400ug should be taken while trying to conceive and in the first 12 weeks of pregnancy, when the baby’s spine is developing. This supplement also contains essential vitamins and minerals which work to help support your body and unborn child.